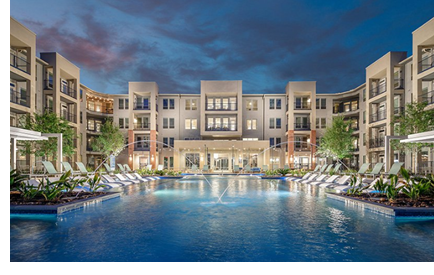 ​SAN ANTONIO – Kennedy at Brooks apartments, a 306-unit apartment development in the Brooks mixed-use community officially opened at 7714 Kennedy Hill Dr. on the city’s far south side. The property is one of five residential developments at Brooks, which was formerly a military base which was part of a Base Realignment and Closure in 2011. Situated on 12.5 acres, Kennedy at Brooks has one- and two-bedroom units, a pool, a fitness and business center, and two dog parks. The complex is near University of Incarnate Word’s School of Osteopathic Medicine and Texas A&M University-San Antonio. ​​Check out more San Antonio-New Braunfels Multifamily Market Research​​.